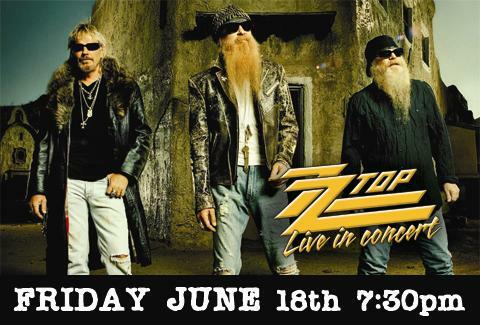 WIN Tickets to see ZZ Top Live in Concert! This article is 3235 days old. ZZ Top is headed to the WFCU Centre this Friday, and windsoriteDOTca is giving away a pair of tickets for you and a guest to catch the classic, guitar slinging, bearded, bluesy act live in concert! It’s so simple to enter our contest! 1. Like windsoriteDOTca on Facebook! Click Like below, or visit our Facebook Page here. 2. Head to our Facebook Page and click on the ZZ-Top Contest Tab at the top of our Facebook Page. 3. Read the rules, click “Next” and enter your name and email address. We’ll choose the winner on Thursday, and contact you by email. Want more chances to win? Invite your Friends to become fans of windsoriteDOTca on Facebook. Tell them to enter the contest. Who knows…maybe they’ll take YOU to the show if they win!